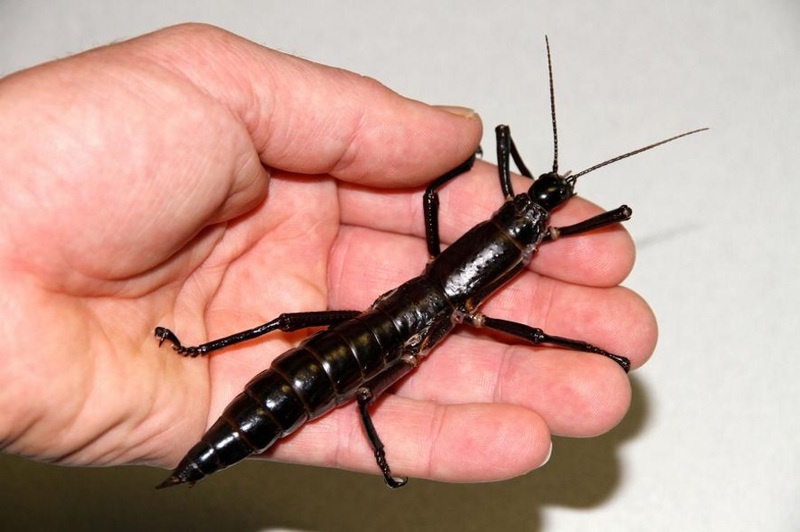 After decades of scientists believing the Lord Howe Island stick insects were completely extinct, a report published Thursday (October 5) in Current Biology finally gave us proofs that the species is still alive on a volcanic rock island in the Tasman Sea, near Australia. Reports claimed people had seen these magnificent –and a little gross– creatures around the areas where they used to live. But, despite the fact that some descriptions matched, scientists weren’t ready to announce those pieces of evidence were entirely real. In 1918, a ship infested with black rats arrived at Lord Howe Island, allowing the rodents to spread all over the area. Because of that, the animals killed the bugs. The population of Lord Howe Island stick insects (Dryococelus australis) was officially declared extinct in 1986. Each bug has a 15-centimeter body, with six squeeze legs, and dark-brown color. In 2001, a group of researchers discovered a living insect that resembled the supposedly extinct tree lobster on a survey of Ball’s Pyramid, the remains of a giant volcano about 20 kilometers away from Lord Howe Island. They followed it and found another group of Lord Howe Island stick insects. However, they first had to analyze to prove those were indeed the insects. Eventually, they found the specimens had less than 1 percent divergence with others stick insects from historical museums. 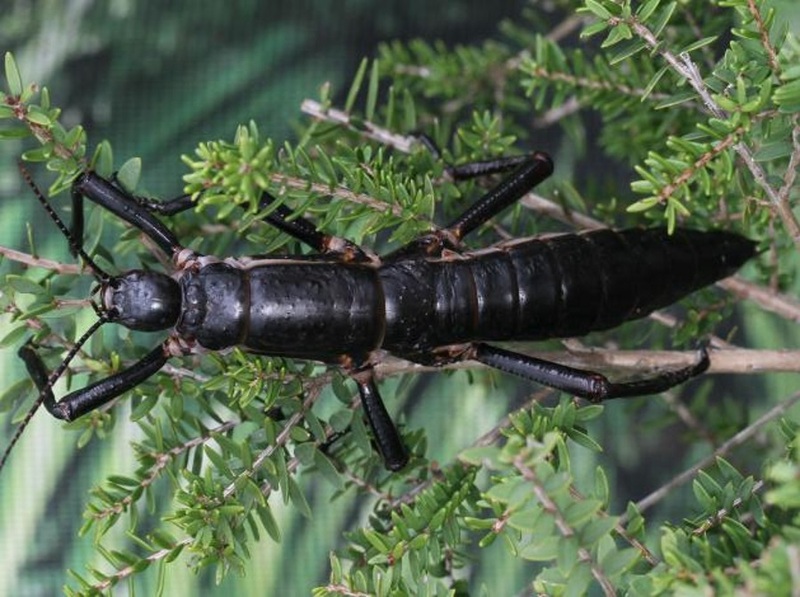 However, there are apparent differences between the old and the newly-found Lord Howe Island stick insect, according to the scientists. The first one seemed thicker, with thicker rear legs and differently-shaped cerci, the pair of appendages at their rear. This made researchers believe this new specimen could have been an evolved insect that looked the same – or maybe another type of bug that lived at the same time with the black lobster. “We found what everyone hoped to find — that despite some significant morphological differences, these are indeed the same species,” Alexander Mikheyev at the Okinawa Institute of Science and Technology in Japan said in a statement released through Cell Press.